A map showing Topeka, Kansas, and its local neighborhoods. 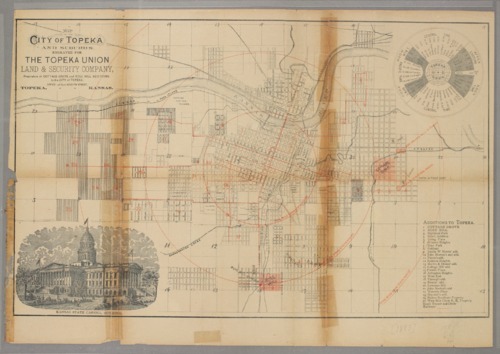 The map also shows distance from certain points in the city to the state house. The backside of the map gives detailed information on new city additions, Rosehill and Cottage Grove.